For the last week or so there’s been a low-pressure system circling anticlockwise round the UK, dragging cold damp air down from the Arctic. There are currently seven flood alerts in place in Wales and the Westcountry and, as these dissipate, more will likely be issued further north where the precipitation that fell as snow will begin to thaw. The extratropical cyclone system responsible for all this is slowly heading off into the Atlantic and leaving behind it the promise of spring. This time of year, as we all start to spend more time outside, is a good time to think about the flood resilience of your property. Even if your home or business is sited a good distance away from the coast and river floodplains, you may still be at risk from flash surface flooding. This can occur when a sharp storm drops more rain than the ground can absorb. We can’t predict when and where future flooding will occur. But, if your property or neighbouring properties have flooded in the past, there’s a good chance that they are still at risk. The government has an excellent flood risk assessment tool that invites you to enter a postcode and view the flood risk for an area. The service uses computer models to assess an area’s long-term flood risk from rivers, the sea, surface water and groundwater. So, what should you do if you discover that your property has been flooded in the past or the government’s computer models suggest that it may be at risk in the future? Your best option is to strengthen your property’s flood resistance and resilience. This means defending your property from floodwater access (resistance) and minimising damage should floodwaters get in (resilience). 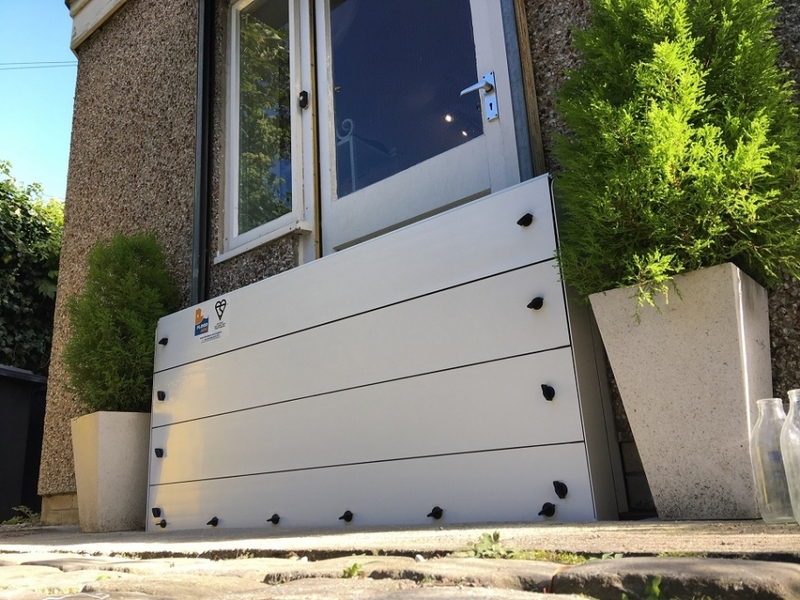 At Flood Ark, we manufacture and install flood defence barriers that have been proved to provide flood protection in independent laboratory tests and in real world flood events. Our barriers are the only Kitemarked product on the market that has been tested to 4m width. Our nearest rivals only managed 2.4m. For regular company and industry news, follow us on Facebook and Twitter.